If you plan on attending the 2017 NOWRA Onsite Mega-Conference in Dover, DE next week, be sure not to miss a presentation by Mark Mazzochette, PE and Mike Haufler, PG of the Hydro-Terra Group. Their presentation: Outside the Box Solutions: Case Studies of Unique On-site Wastewater Systems in the Chesapeake Bay Watershed, will present an overview of the innovative designs which were implemented at their Walnut Creek and Lakeview Estates projects. Both projects utilize Dynamic Monitor’s IVM6000-LP Intelligent Valve Monitors. The presentation takes place on Tuesday, Oct. 24, 2017 at 10:30am at the Dover Downs Hotel & Casino, Dover, DE. The design professionals at Hydro-Terra Group of Westminster, MD were tasked with bringing the Lakeview Estates’ wastewater system into compliance with Maryland Department of Environment (MDE) requirements. The upgrades included a new low-profile treatment plant, and an innovative drip-mound dispersal system. Hydro-Terra needed to ensure even distribution of effluent across the drip mound to satisfy regulatory and design requirements. Hydro-Terra investigated different options for zoning the SDI mound distribution system. They chose a mechanical distributing valve made by K-RAIN®, paired with an IVM6000 Intelligent Valve MonitorTM by Dynamic MonitorsTM. Hydro-Terra’s Mike Haufler, PG says “We considered using solenoid valves to zone the drip mound, but there is no way to confirm the solenoids are opening and closing fully in response to the electric signal. 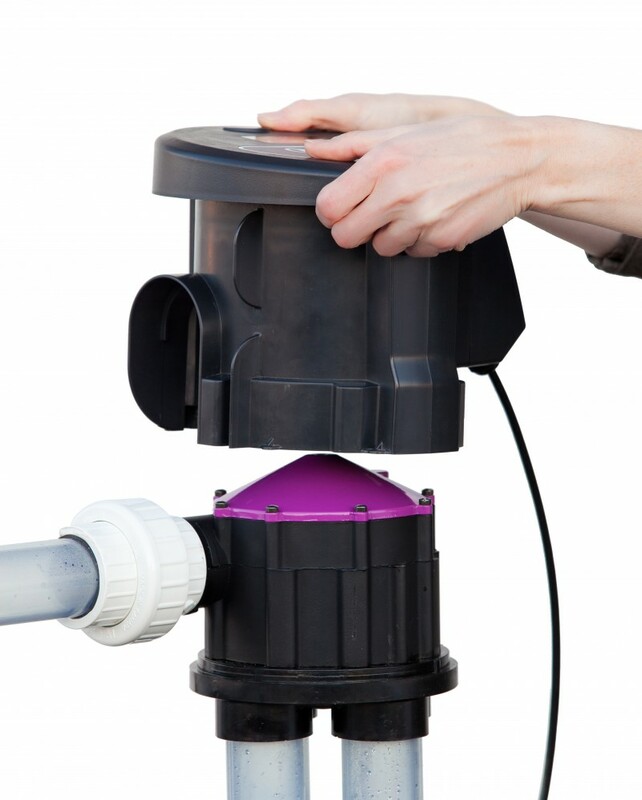 In our opinion, the K-RAIN valve with IVM6000 monitor was the most reliable solution to this regulatory and design problem. The IVM confirms even distribution to all zones and will alarm at the panel if a valve malfunction were to occur”. 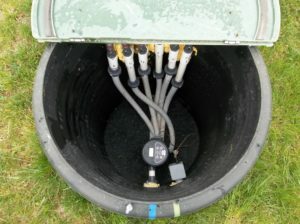 Hydro-Terra have used the IVM6000 data to confirm even distribution and demonstrate compliance. MDE regulators now require monitoring on all large on-site systems using K-RAIN distributing valves. The IVM6000-LP is the most effective, and reliable method of monitoring these valves. The IVM6000 installs securely down over 6000 series KRain valves to keep watch over valve operation. Valve chamber on Hydro-Terra’s Lakeview project showing IVM6000 in place monitoring a KRain 6606 indexing valve.